Welcome to Day 2 of our 5 for 5 Christmas Blog Event. Today our theme is "Religiou". We are all sharing a project where with a Religious theme. Each day our 5 Designers will post a Christmas Inspired Project based on a theme. Some of us are offering prizes, so be sure to visit all the links below and leave comments. My prize is shown at the end of this post, check it out!! For my card today, I used a brand new Hero Arts Stamp. It looks like a stained glass window. I colored it with Copic Markers in lots of different colors. It was really fun to color. For the background I used a new We-r-Memory Keepers Embossing Folder on white card stock. I used an ink blending tool to rub some London Fog Memento Ink over the embossed panel. I thought it might look like an old stone church with a stained glass window in it. The sentiment is from a Papertrey Ink Stamp set. 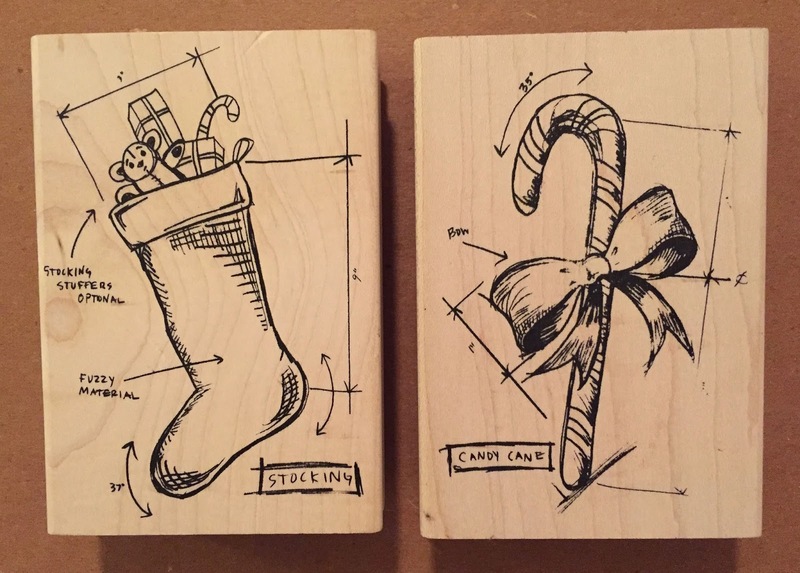 My prize for this event is two Tim Holtz Blueprints Wood Christmas Stamps - Stocking and Candy Cane. Just follow my blog and leave a comment for a chance to win. I will announce the winner on my blog Saturday, December 12. Thanks for stopping by! 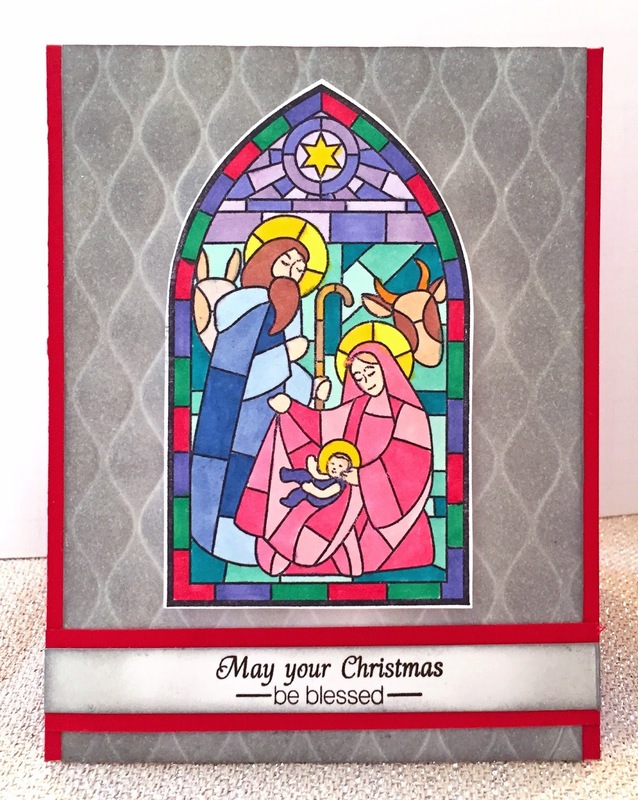 Your stained glass look on this religious theme is so effective, love it! Oh my goodness this is just beautiful! This is so pretty. Merry Christmas!! Love this stained glass window stamp. What a beautiful image for a Christmas card!!! This stamp and card are really pretty and I love how you colored it with Copics. It looks like it's glowing! Beautiful card, Donna! I love the stone look background and the lovely stained glass window image! Great coloring! oh what a beautiful stamp! would love to add that to my collection :) thanks for such a lovely card! Such fabulous colouring Donna, I thought it must have been pre coloured... WOW!